In addition to learning about software development at the Zurich University of Applied Sciences, we got to take part in Frackwoche—also known as Tail Coat Week. 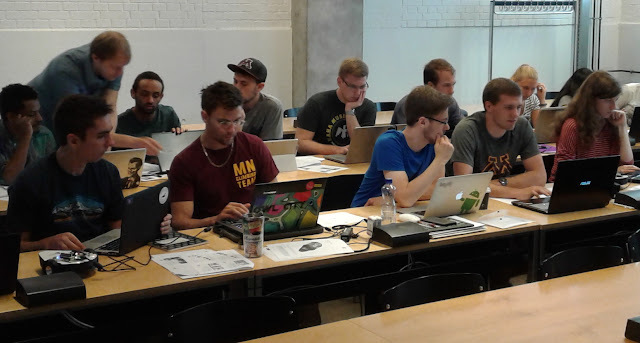 Due to the mechatronics aspect of this study abroad class, we have been spending a good amount of the past few days in the classroom at the Zurich University of Applied Sciences learning about software development. We first were introduced to the Rome-Bot, an ARM-controlled, two-wheeled mobile robot system and wrote simple C++ code as practical training for utilizing the robot’s software. We then delved into larger programming design using state machines in order to read in sensor data and control the bot’s movement and decision-making as it discovers obstacles in its path. We were lucky enough to come to Winterthur during the week of Frackwoche. 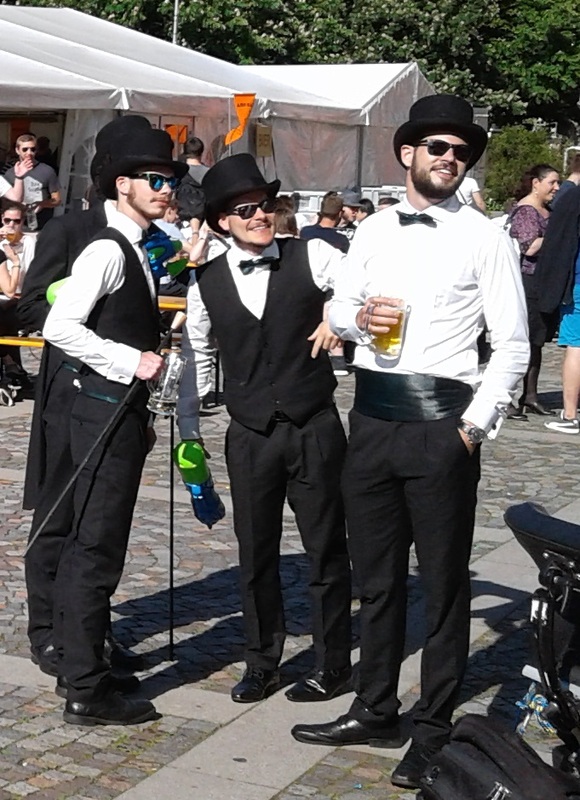 Frackwoche -also known as Tail Coat Week - is the annual event for the graduates of the former Technikum Winterthur, now a department of the Zurich University of Applied Sciences. To prepare for this event, all (male) graduates grow a beard over 100 days and dress exclusively in tailcoats and top hats while women grads wear ball gowns. This fun dress code applies for the ENTIRE week before the actual graduation. Not only is this huge party limited to the engineering grads, but the whole university (professors and faculty too!) comes out to celebrate with music, banter, beer, and delicious food all day and night for a week. We were fortunate enough to be given coupons for the food booths at the event, so we spent time devouring Schnitzel, Fisch und Pommes (fish and chips), and other cultural delicacies while partaking in Swiss culture.